Lab Supply has a huge selection of chew toys and enrichment devices for lab animals. We have hundreds of enrichment devices to choose from when it comes to lab animal toys. Whether you are looking for chew toys for canines, rodents, primates, swine, rabbits, or ferrets, Lab Supply has the toys you are looking for. 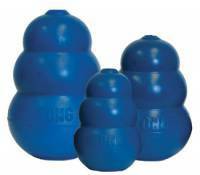 We also have Kong chew toys in many colors and sizes, which are a real favorite among canines and primates. Don’t miss out on other great products such as the Cyclone Chew and the Nobbly Wobbly. If you are interested in these toys for lab animals, then please click here to visit our online store to check out our full selection of enrichment devices. Here at Lab Supply, we are committed to making sure you find exactly what you are looking for. If you have any questions about these great chew toys for animals, then please click here to visit our contact page. We will be more than happy to answer any questions you may have.